A 40-years-old patient with M1a lung adenocarcinoma. 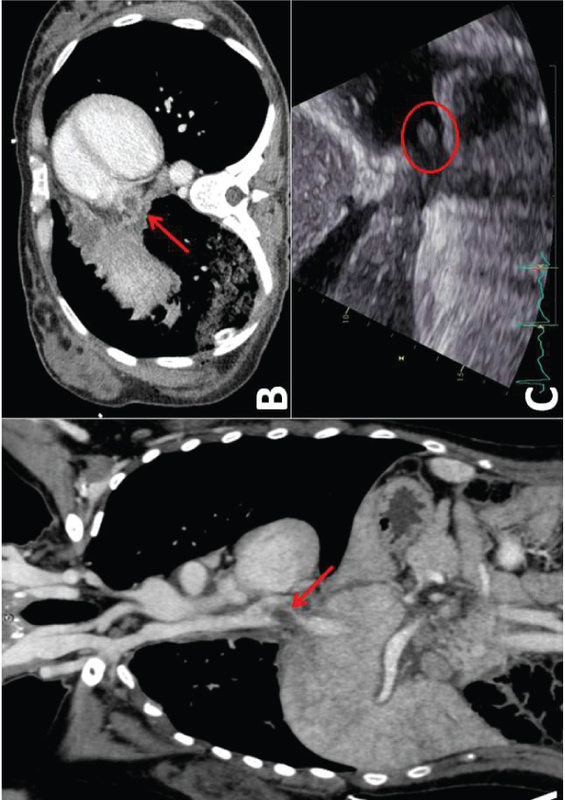 CT scan showed a mass directly invading the inferior vena cava (IVC) with neoplastic thrombus in the right atrium (Figure 1A and Figure 1B). Echocardiogram confirmed solid mass floating in the right atrium, connected with tumour invading the IVC (Figure1C). Figure 1: A) Coronal plane, B) Axial plane, C) Echocardiogram. Francesco Proietti, Department of Thoracic Surgery, San Giovanni Hospital, Bellinzona, Switzerland, Tel: +41-(0)918118218, Fax: +41-(0)918119173. 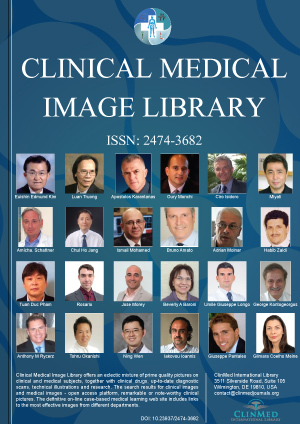 © 2018 Patella M, et al. This is an open-access content distributed under the terms of the Creative Commons Attribution License, which permits unrestricted use, distribution, and reproduction in any medium, provided the original author and source are credited.